Whether your donation to HospiceCare is a gift of money, time or talent, your gift is a gift of caring. The generosity and compassion of our community make it possible for HospiceCare to continue to meet the needs of our patients and their loved one’s. Many people ask what they can do to insure that HospiceCare will always be available to those who need it. HospiceCare’s mission is to serve those in our community with a terminal illness and those who are grieving, regardless of their ability to pay. HospiceCare relies heavily on charitable donations to carry out our mission and to develop new programs to meet the needs of the community. To donate now Click and Pledge. A memorial gift to HospiceCare is a meaningful way to honor the memory of someone who touched your life in a special way. Often, families specify “memorial may be made to HospiceCare of the Piedmont” in funeral notices as a way of honoring their loved one at the time of death. Many people choose memorial contributions to HospiceCare as a way to commemorate the birthday or anniversary of a loved one each year. A gift “in honor of” gives you the opportunity to support HospiceCare and at the same time express your love and respect for a living family member, friend, co-worker or other individual. Such a contribution is a thoughtful way to observe someone’s birthday or anniversary in lieu of or in addition to a gift. Some people prefer that their gift to HospiceCare be earmarked for a particular use or to support a HospiceCare Program or need . . . such as Project Hope or patient medicines. Please contact HospiceCare’s Development Office for information about various programs that need your support. Your designated gift may also be made in honor or in memory of a loved one. Created to honor those supporters that contribute gifts of $500 or more on an annual basis. Qualifying donors receive special recognition of invitations to special events. Established to support Hospice Care and services and to ensure that the special care offered by HCP is available and continues for those in need, well into the future. HospiceCare has many different needs, often ranging from items needed for patients and their families to services and items needed for our Program, such as printing and supplies. Throughout the year, we have many different requests for in-kind items. If you would like to provide goods or services to HospiceCare, please contact the Development Office at (864) 227-9393. Volunteers are essential to the existence of HospiceCare of the Piedmont. We provide many opportunities for you to use your time and talents in many ways. You decide how much time, how often and in what capacity you want to volunteer. For more information, contact the Volunteer Department at 864.227.9393. Planned giving is a structured way of contributing to HospiceCare. It involves looking ahead and planning how best to provide for your own needs and those of your family and to carry out your desire to support HospiceCare financially. A planned gift is any gift to HospiceCare that is arranged or provided for during the donor’s lifetime, but may not be actually received in it entirety by Hospice Care until a future time, usually after the donor’s death. If you would like more information on planned giving, please contact our Development Director or call 864.227.9393. Members of The Legacy Circle share a strong common bond of generosity to support hospice and palliative care. 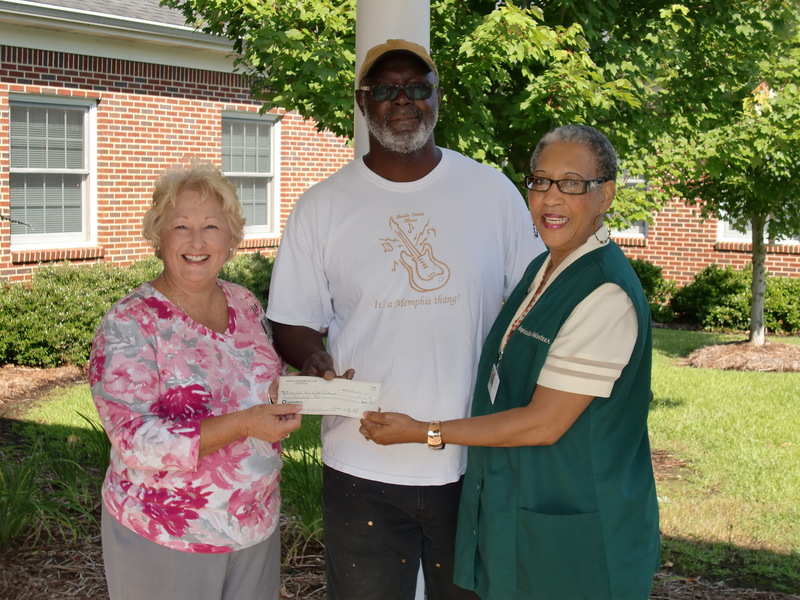 Such philanthropy ensures HospiceCare of the Piedmont’s continued success into the future. You can become a member of The Legacy Circle by naming HospiceCare of the Piedmont in your will, life insurance policy beneficiary or retirement plan beneficiary, or by making a life income gift (such as charitable gift annuity, charitable remainder trust, or charitable lead trust). If you have made a lasting gift, please let us know by completing this form and returning it to us. We would like to thank you and welcome you into The Legacy Circle. If you would like more information, please contact us at 864-227-9393. HospiceCare of the Piedmont invites you to support the new Hospice House by purchasing a commemorative brick. When you designate a brick in The Courtyard of the Hospice House, you create a timeless tribute. Your purchase of a brick not only assures that your loved one will have an enduring memorial, but also confirms your contribution in making the Hospice House a reality. A commemorative brick is an ideal way to leave your mark, honor someone, or memorialize a loved one. Each brick can be engraved with your name or the name of a friend or family member. Your gift will help support the Hospice House which provides critically-needed services for all residents of our greater community. This facility enables people to experience this most difficult time in their lives with an added level of invaluable support. We invite you to join us in this effort to ensure that, in the greatest time of need, our citizens will be allowed every comfort possible. To purchase a brick, download our brochure/order form, order on-line, or call to request a form to be mailed to you, 864.227.9393.